James’s practice comprises all areas of private family law. Called to the Bar in 2015, James undertook pupillage with 1 Hare Court and became a tenant in 2016. 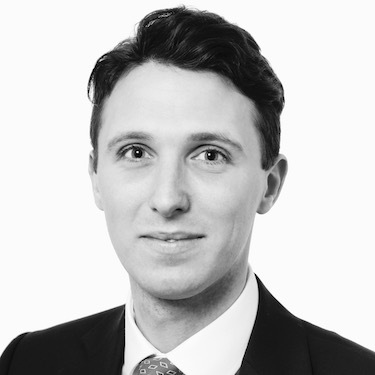 James represents clients in financial remedy matters, cohabitation disputes, Schedule 1 claims, and proceedings under the Family Law Act 1996. He has acted in High Court proceedings and has been led in the Court of Appeal. James undertakes a significant amount of advisory and written work on topics such as the enforcement of financial orders, formal pleadings in ToLATA claims, and the application of the EU Maintenance Regulation. He also provides advice in relation to issues concerning child maintenance and the role of the Child Maintenance Service. As a published author on the topic, he is well-placed to act in cases involving issues of trusts law, such as claims under ToLATA. Similarly, before joining the Bar, James was employed by University College London as a Teaching Fellow in contract law and tax law; the transferrable knowledge from which complements his practice immeasurably. Financial Remedies; Schedule 1 claims; Cohabitation Disputes; Family Law Act Matters. Contributor to Rayden & Jackson on Divorce and Family Matters (2016, Butterworths), 19th edition. Bar Professional Training Course, Nottingham Law School (Middle Temple Scholar, Blackstone Entrance Exhibitor, St Mary’s Family Law prizewinner). Master of Commercial Law LLM, University College London. Law LLB (Hons. ), University of Bristol. Outside of work, James enjoys freestyle skiing and attempting to cook.